I’m sure I’ve said it before that fall is the best time of year in these parts, what better time for a ride? While it’s true that there was snow on the ground by this date last year, this fall has been comparatively kind with many sunny days and minimal wind but still not too warm. 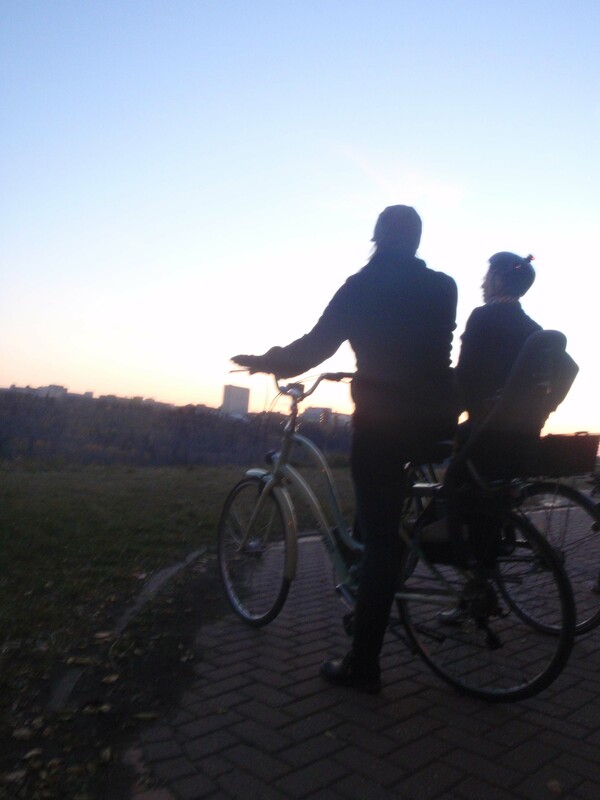 On a late day Critical Lass ride we could bask in the golden glow of the last of the leaves and the setting sun. Looking over the river valley, enjoying the last light. 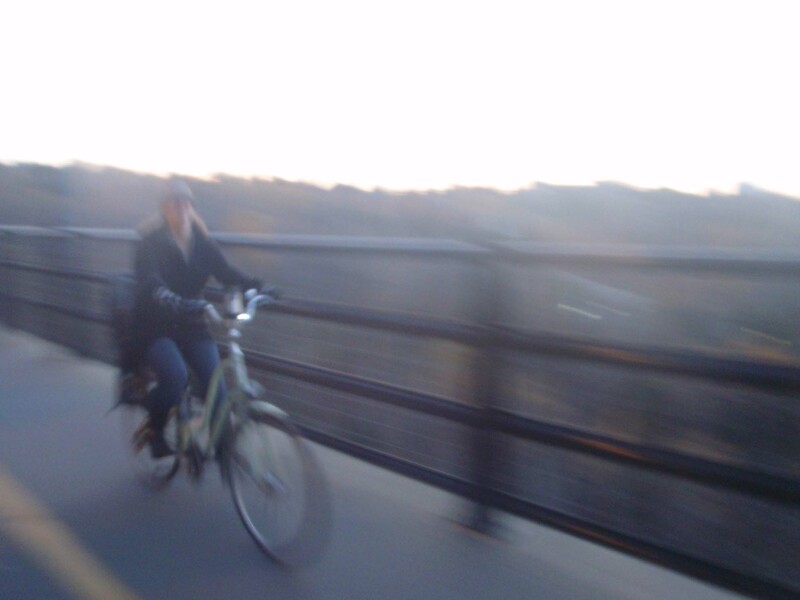 Crossing the High Level Bridge was the highlight of this ride. The High Level Bridge is part of my regular stomping grounds, so I somewhat take for granted what a monumentally huge, vertigo inducing piece of century old engineering it is. 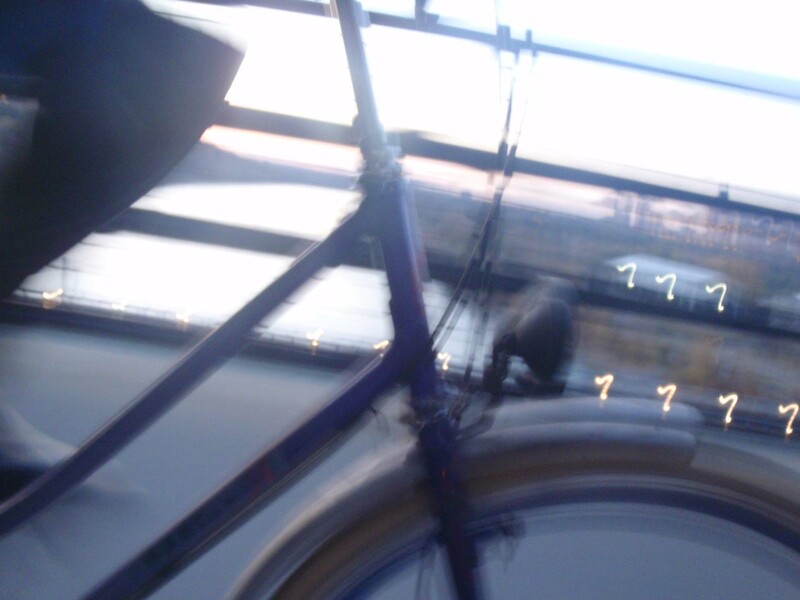 On this ride, however, there was a young rider making her first trip over the bridge who reacted much the same as I did on my first time crossing the bridge outside of a car at approximately twice her age.. Which is to say, she got a little freaked out. Enough that riding down the hill to the LRT Bridge and up the killer switchbacks to the University was looking like a reasonable alternative for returning to the south side. Another lass crosses the bridge. I remembered the time when I was a teenager that I was with a freind and we were walking downtown from Whyte Ave. When we got to the bridge, she expressed her fear, and me and the other folks we were with convinced her that she could cross. She ended up having a panic attack after we’d barely started over the span, and it took three of us to get her back up the hill and onto a northbound bus. I was really glad our young companion wasn’t as freaked out as that. 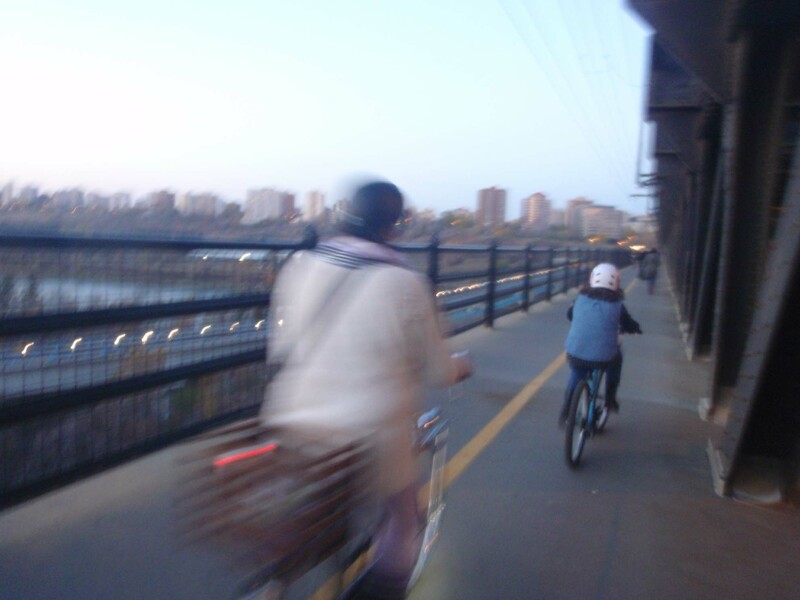 She and her mom ended up taking the train back across the river while the rest of us cycled back across the bridge in the crisp fall evening air. For more on Critical Lass, check out Loop Frame Love.